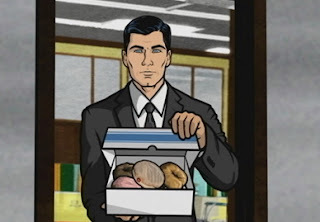 After putting the kids to bed, I settled in to watch my favorite animated show, Archer, on the old DVR. The show is a bawdy take on the spy-for-hire story, sort of "Arrested Development" meets James Bond meets "South Park." Not a show for the young 'uns, but very funny and very un-PC. This week, Archer was sent to New Orleans to thwart an eco-terrorist who wants to blow up a natural gas pipeline. As I watched the show, all I could think of is, "I wish people cared that much about natural gas!"